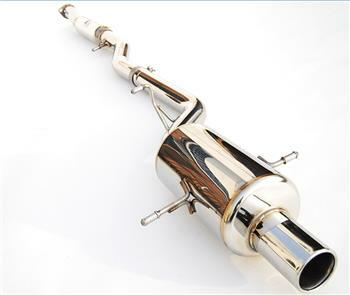 If performance is what you are seeking, the Invidia G200 Exhaust Delivers. Each G200 Exhaust features a super-strength titanium tip with an expanded tip size to maximize exhaust air flow. On top performance, the colored titanium tip gives the G200 Exhaust an aggressive look. The Invidia G200 Exhaust is the latest of top-end Invidia Exhausts.